Pete Atkinson studied marine zoology at Bangor University, North Wales, continuing a life-long obsession with the natural history of the oceans. In 1982 he bought Eila, a 1935 classic yacht, which he sailed all over Polynesia, taking photos and writing articles. After 17 years and 45000 miles he bought Vigia, a 13.5m aluminium yacht to continue his travels in the Pacific for a futher six years. After gaining a Distinguished Talent visa for Australia in 2004, Pete sailed to Cairns where he bought a house, sold Vigia and married the Thai photographer Darin Limsuansub. All rather quickly. 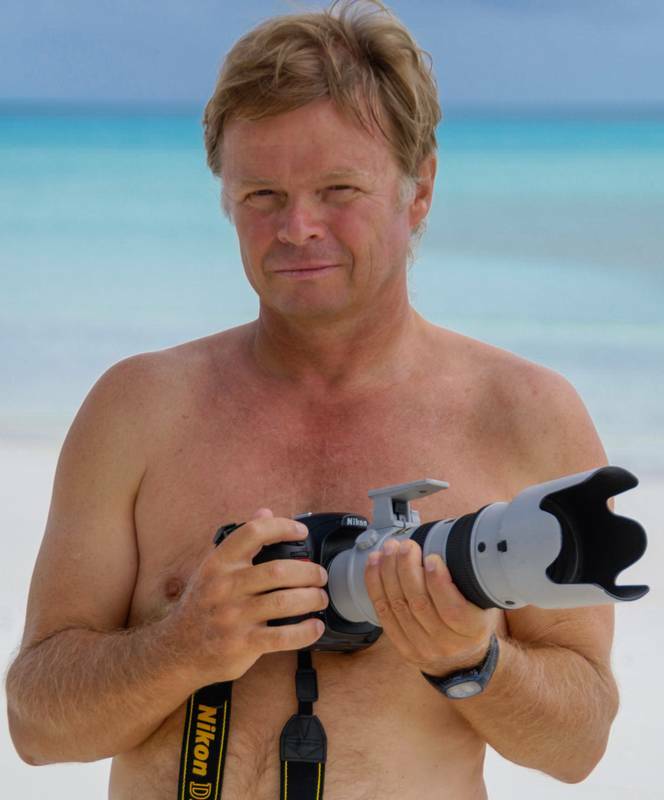 Pete’s articles have appeared in sailing and diving magazines in ten countries and his pictures have won awards in numerous international competitions, including Wildlife Photographer of the Year. He is one of only two people to ever win “Best British Underwater Photographer” twice, at Image 99 and Image 2001. Pete and his wife Darin now live in Phuket, Thailand.